Ciriaco pinch hit for Shelby Miller in the seventh inning and collected a RBI single in the Braves 8-3 loss to the Giants. 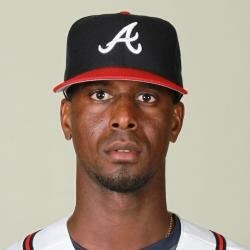 Ciriaco has a utility role carved out in the Braves lineup with eligibility at 2B/SS/3B. He is hitting .258 on the season with 11 RBIs but should not be used in any fantasy format.